BullShark had the most liked content! I am a neutral fan that just loves basketball so let me join in this lovefest. I think you both nailed it spot on. This year at the boro there were probably 6-7 really good teams, no great teams. Winners were determined by who was on and how the game was called. I think today will be the same. 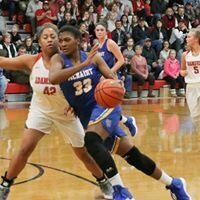 Both are capable of winning it all but Loretto girls did log lot of minutes. Hopefully, they ate some cheeseburgers last night and fueled up. Good luck to both. Totally agree. End game fouls make up for a majority of that ft discrepancy. Don’t rely on the stat sheet to tell the story. Watch the game. Were some fouls missed? The answer is “yes” but on both sides of the ball. GC team is 2 things. 1. Not flashy - they don't have any stars, but what they do have are at least 9 fundamentally sound basketball players that make smart decisions. They won't wow you with super high point outputs, but they dang sure won't give up big points either. 2. Very sound defensively- they lull you into a sense of complacency and then the next thing you know you are down 12 because they have turned you over on 5 straight possessions. Their games aren't super exciting but who care because winning is exciting. GC has to be one of the best coached teams I have seen play. They have totally bought in to what Coach Wilkins is selling and that is saying a lot given that so many players in today's game love to score but play like defense is "optional." Greenfield and GC will have easy days today setting up for the Region 7A rematch on Saturday. GC better shoot better on Saturday than they did against Summertown if they want to bring home the Gold Ball. I think Loretto may hang around for a half with Greenfield, but Greenfield pulls away in the second half. I think Midway realizes they are over their heads in the second quarter. Greenfield is putting a beatdown on the Range at the half. I think they close the gap in the second half but dont think they can pull out the W.
You are correct and they will play the winner of your game. Good luck to all and congrats to Chloe Moore McNeil! Well deserved! Congrats to all these outstanding players! What a career Miller had at SS. Fun player to watch! I wish her a speedy recovery and wherever she goes to college is going to be getting a good one! Correct me if I am wrong but Loretta lost two of their starters. I know one for sure. I think if they had them, they WOULD be the favorite to win. I saw them play McKenzie and struggle with them. They did not shoot well and IMO relied too heavily on the freshman phenom, and she is a phenom! If she is off, and they play like they did against McKenzie, they may get beaten. That being said, they pass the eye test for sure. Every girl looks like they can ball! I thought they would manhandle McKenzie based on how the two looked in warmups, but they proved otherwise in the game. However, if they all show up aggressive and don’t leave every possession up to the freshman, they have potential to win it all, this year and for a few to come.